The Pittsburgh Pirates bid to get a Single-A team in Bradenton, FL has been approved by the Florida State League’s upper echelon. Approved is the purchase of the Cincinnati Reds Class A team in Sarasota, FL. Pittsburgh already has their Spring Training facility and Gulf Coast League team in Bradenton as part of Pirate City. In the agreement between both clubs, the Reds are now moving their Single-A affiliate to Lynchburg ,VA. The transition of the Hillcats can already be seen on the club’s minor league website. The Lynchburg Hillcats, who have been in the Pirates organization since 1995, has seen tremendous success in the Carolina League, winning League Championships in 1997, 2002, 2009. 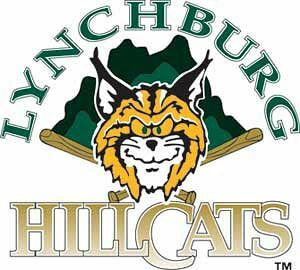 What you can call great sportsmanship between clubs, the Hillcats’ approved the move; despite the fact one year remained on the contract. The new Pirates club name, and logo have yet to introduced, though one can speculate that an announcement is to be made very shortly. According to the clubs website, there is no schedule at present date but it has been confirmed that opening night will be April 8, 2010 in a night game at McKechnie Field. Devon Teeple is an author for the Business of Sports Network, which includes the Biz of Baseball, the Biz of Football, the Biz of Basketball and the Biz of Hockey. He is a former professional baseball player with the River City Rascals & Gateway Grizzlies. Devon is also available for hire or freelance opportunities. Devon is a former student within Sports Management Worldwide’s Baseball General Manager Class. Devon is the founder of The GM’s Perspective and is a intern with The Football Outsiders and contributor with the Plymouth River Eels.